A wrist measuring multi sports watch. 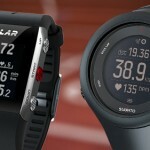 Last April TomTom introduced the MultiSport Cardio. TomTom was kind enough to let me borrow one for an intensive review. The integrated Mio Heart rate sensor in action. 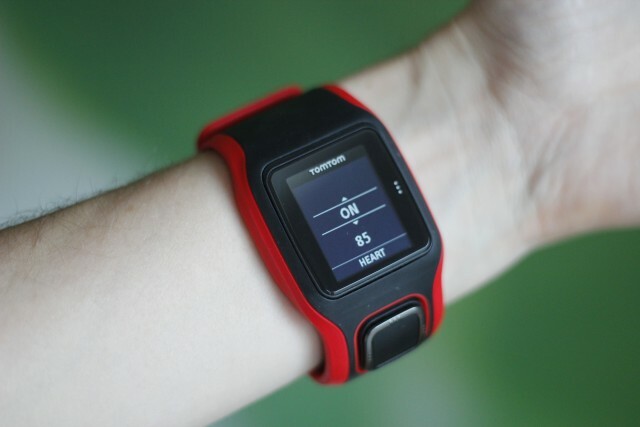 The TomTom MultiSport Cardio has a nifty feature that it measures your heart rate on your wrist. 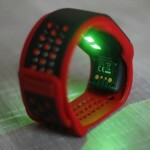 It uses green LED lights and a sensor to measure the blood flow and by that determine your heart rate. It’s shown to be pretty accurate, but won’t work if you mount it on your bike. You’ll need to have a chest strap then, or decide to leave it on your wrist. The watch looks really nice, and on my tiny wrists it’s not as bulky as the Garmin 910XT, however, due to the location of the GPS receiver it’s a bit of a long watch, and that’s why it’s set on a curve. This does make it look a bit on the larger side and makes it less easy to store it somewhere small. 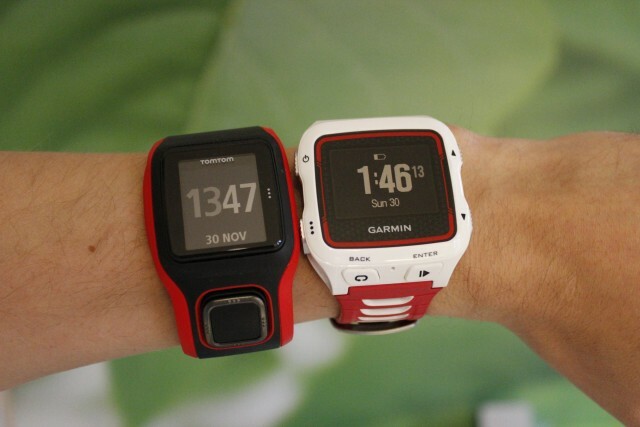 Compared to the Garmin 920XT the TomTom is not that big. 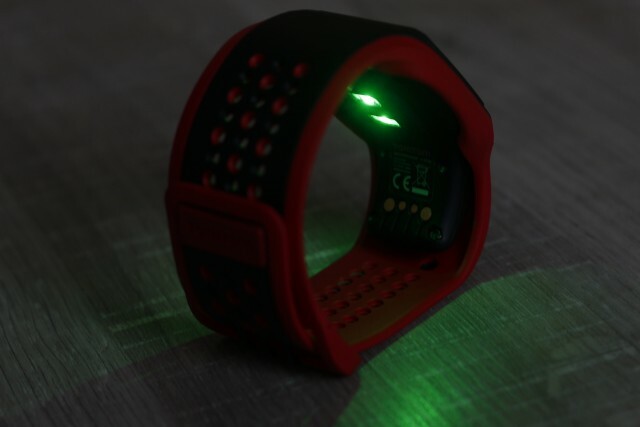 The heart rate LED looks really cool in the darker hours of the day. One thing TomTom understands is that everybody has a preference. And in their syncing options you can choose where you want your data to be pushed to, and if you want a local backup. I’d recommend to add the latter as currently TomTom’s MySports doesn’t have an export function. Adding Strava, Endomondo and others was not issue at all and it worked smoothly, as expected. Synchronizing the workouts paired with my phone you can’t seem to force a synchronisation. So you have to switch on your bluetooth, open the app and wait. During testing I had the app crash a couple of times in one day (and later it worked fine again) and it looked like it made some workouts vanish, but a couple of minutes later they did sync properly. So nothing was lost. Overall, it works pretty good, the lack of a force sync should be noted as you’re just sitting there waiting for magic to happen. 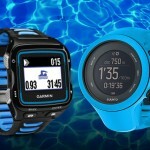 The watch has quite basic support for swimming, you can set the pool length and it will measure your distance, time and thus pace. Unfortunately it doesn’t support heart rate measurement, which surprised me as a missing feature. As using a chest strap doesn’t work (wireless connections don’t work in water) and I thought measuring heart rate on your wrist would make this possible. It does work however if you set it to Freestyle mode (about 80-90% of the time and strap it tightly), but then you have no distance. TomTom decided not to enable the heart rate, because it can be inaccurate when water comes between the watch and the wrist. They said that they are working on enabling this. 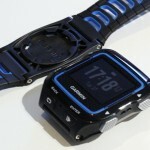 So it may come in the future with a firmware update, which will make this watch even better. The watch is best used in the pool as the TomTom doesn’t support open water swimming, which I think is a real mis, hover, a friend of mine just sets it to the ‘Freestyle’ setting, this way she gets her data anyway. I wasn’t able to test this myself as autumn had set in and the open water was too cold for a swim. The watch has Bluetooth sensor support and you can buy it in a bundle with a speed and cadence sensor, or pick up any BT sensor you prefer. Despite the fact they can only transmit data to one device at a time, I do believe BT sensors are the future. The only thing I’d say I’m missing is the support of power meters, however, this isn’t a high end watch and the intended audience probably doesn’t own a power meter, so I can’t say it’s a missing feature and maybe it will come with a firmware update, who knows. Garmin (Blue) and TomTom (red) heart rate. Living in a moderate climate, the temperatures have currently dropped to below 5°C which makes it required to long sleeve everything. I had the watch between my sleeve and gloves and was fairly comfortable doing so. Otherwise, just wear it under your jersey and see the results in the end, but it makes heart rate zone sessions a bit harder. Watch face inside & heart rate? Because the watch measures heart rate on your wrist, you need to keep it on your wrist, personally I like to have the watch face inwards so I can see my data while in aero position (same for running, is just makes taking a look easier!). It’s been believed that the watch doesn’t work in this position, however, sitting in aero I was able to get a decent heart rate with the watch face on the inside of my wrist. Now it might be that it just worked for me, but it does work and I don’t need to put on a heart rate chest strap then either. Via the sensors menu, this is my heart rate measured on the inside of my wrist. The watch is available with a cadence sensor, I didn’t have the sensor itself and it didn’t get great reviews online. However, since its a Bluetooth sensor compatible watch, You can just pair up a Wahoo Sensor and use that. This was a very easy process and works perfectly. 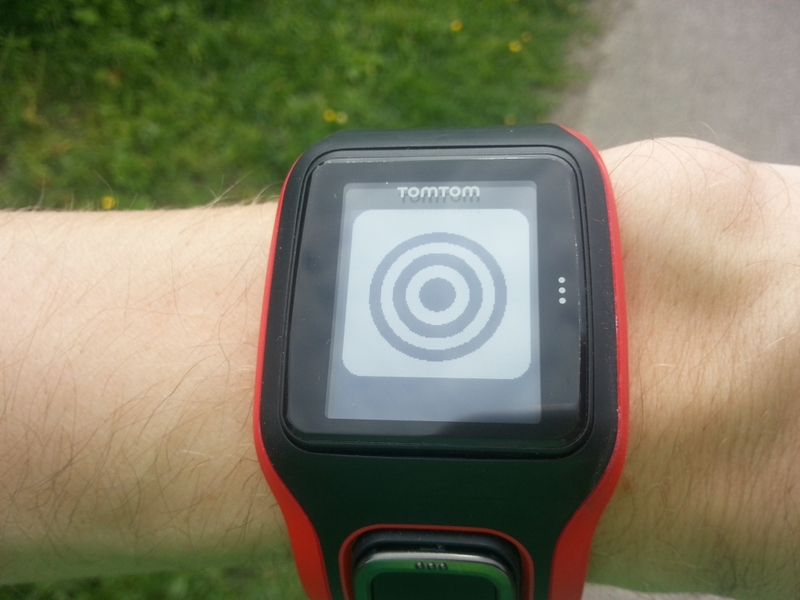 The TomTom is clearly a GPS watch, made for runners, it supports treadmills, but not turbo sessions. In the bike setting it will only allow the session to start after it has a GPS fix. I really think the watch works best during running, with the wrist heart rate measurement it’s really easy to just go on a run. It is quick to get a GPS fix too. During your workout you can scroll through your data using the buttons and in your settings you can choose what the top fields display (set these before you start though). Again, if you live in a moderate or colder climate, the winter might cause some issues. Because the Cardio takes your heart rate from your wrist, it won’t work over your sleeve. So it’s going to be hard to see your heartrate, pace etc. However, you can pair the watch with a chest strap, but that takes away the whole purpose of the watch. TomTom’s Race presets you can use. With the built in Interval setting you can easily create a training on the go. It includes a warmup, workout, rest and cooldown. And for a 10K run I’d recommend using the goal feature. The watch will show your progress and alert you at 50%. This way you can just run on your path and turn around at your half way point as the watch will beep. Quite refreshing not having to keep an eye on your watch. When you do a zone session the watch will also give you feedback to speed up, slow down, or stay in the zone. Running in your designated hr-zone. If you are in to longer distance triathlons, like half or fulls, the battery life is a bit on the short hand, with a given 10 hours in workouts (which I didn’t actually test…), you might want to opt for another watch (or start training to get faster!). Besides this, it might not be the best watch for it, but you can easily switch workouts in your transition. TomTom has made some efforts in how your data is spread, which is really nice when you hook up the watch to your computer. You get several options to automatically sync your data to Strava, Runkeeper, Training Peaks, etc, etc. And you can also automatically export the files to a local folder. I really like this, as usually products come with their own little tool and then you have to export, convert, upload, etc. TomTom’s MySports itself may not be the most complete in data overview, but again does a decent job. Combined with their export features, you can actually use whatever tool you prefer yourself, or which you’ve been using. I’ve worn the watch twice with my Garmin and for running it appears to be quite accurate. During a mountainbike session it had a real issue finding my heart rate, maybe it was the bumpy-ness, but some parts where I was definitely pushing my heart rate max, the TomTom was missing out. So It may not be the fairest, but a worthy note for MTB-ers. 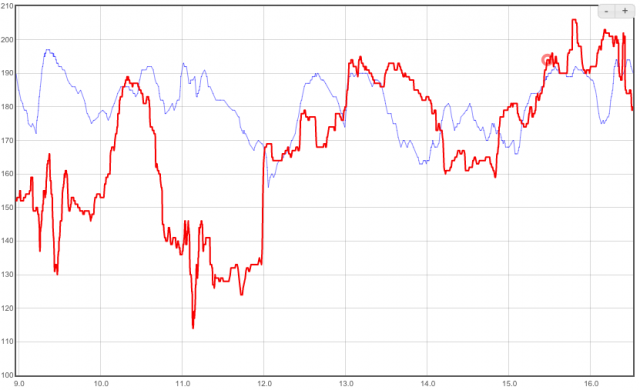 Garmin, via chest strap (blue) and TomTom (red) heart rate during an MTB session. Online you get all the data TomTom records. No estimated recover times or other derivatives, and I believe that to be a good thing. Most people don’t use that information or don’t know what it means. And below that the usual maps, laps and a graph of your heart rate, speed and altitude. Cadence will show here as well, but it wasn’t recorded on this ride. 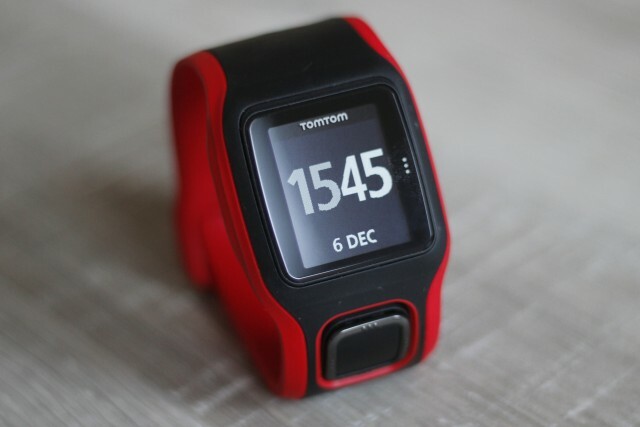 The TomTom Multisport is a decent watch, and I personally like it. And for the beginner triathlete it’s a pretty good buy. All the basics are there to measure what you’re doing. It keeps it simple, I mean, it’s not rocket science but some watches and brands overcomplexify everything. I really like the wrist heart rate feature, it removes the step of putting on the annoying chest strap when getting dressed (or when you forget, after you’ve changed, like me…) and allows you to just slap on the watch and take of. Especially for that quick run you decide to throw in, just slap on the watch and off you go. I travelled while testing the watch out, and I just brought my shoes and watch and went for a run whenever I wanted. Didn’t neet my laptop to sync either. For what I’ve seen it does what it does and it does it well. 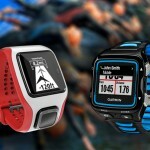 So a pretty awesome running watch, ticks most of the cycling boxes and OK for swimming. If you feel that the heart rate feature is just a gimmick and you have no issues with a chest strap, you can opt for the normal MultiSport watch and maybe save a couple of bucks. As the article says you should really ask yourself is what you are going to use. If you want a decent INTERVAL mode don’t buy this watch. When you are running you can’t see one thing so easy like your pace in an interval. You only can see average pace of the whole activitie and instant pace, but not pace of the current interval. Many users has demanded an update of the firmware but Tomtom developer team seems more focused in the TT Golf watch recently on sale.